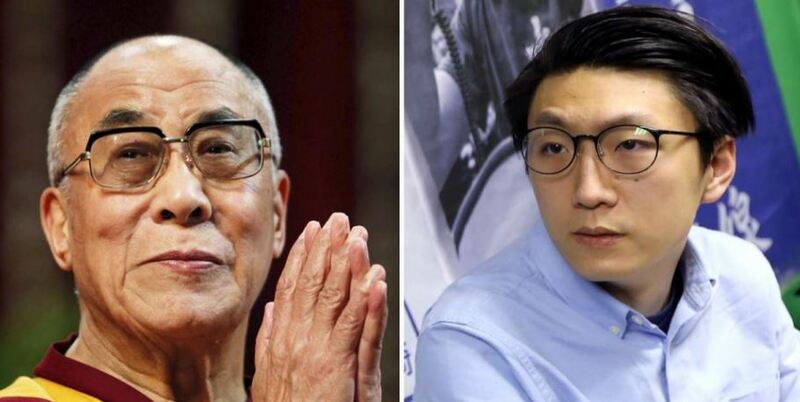 (TibetanReview.net, May06, 2016) – Tibet’s exiled spiritual leader, the Dalai Lama, has called on the people of Hong Kong not to give up their fight for democracy, reported scmp.com May 5, citing Hong Kong Indigenous member Edward Leung Tin-kei. Leung had met with the Tibetan spiritual leader in India along with 60 others from the mainland, Macau, Taiwan, Europe and the United States. “His main message was Hongkongers need to be determined and maintain their passion,” Leung was quoted as saying. The Dalai Lama was cited as having noticed that many mainland activists who fled abroad after the 1989 Tiananmen crackdown were becoming discouraged over time. Leung was in Dharmsala, India, to take part in the 11th Interethnic Interfaith Leadership Conference held at the Dalai Lama’s residence. It was organised by US-based group Initiatives for China. This group aims to advance “a peaceful transition to democracy in China through truth, understanding, citizen power, and cooperative action”. The Hong Kong Indigenous member has said he spoke to others at the conference on the importance of the city becoming independent.